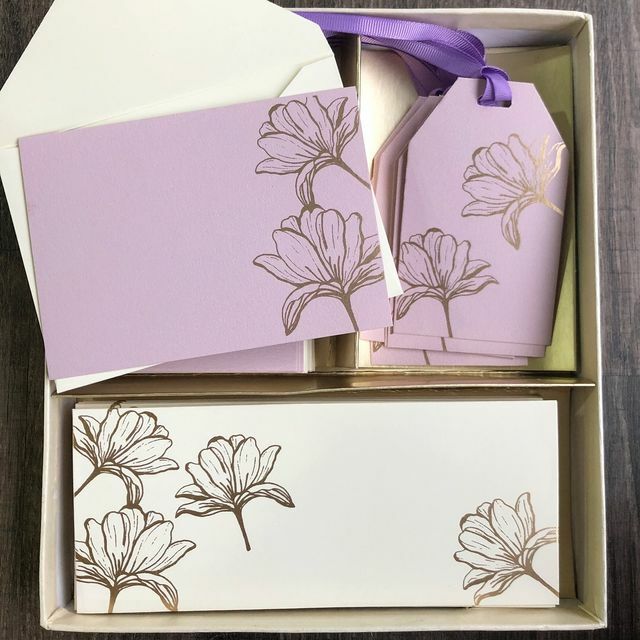 Hand-illustratated designs in dreamy pastels and gold details.The stationery set includes 10 money envelopes, 10 notecards & envelopes and 15 gift tags. This set can be personalised. Please enter personalisaton details exactly how you want it to appear on the product.